So Which Will You Joël Robuchon Dining Experience Will You Choose? 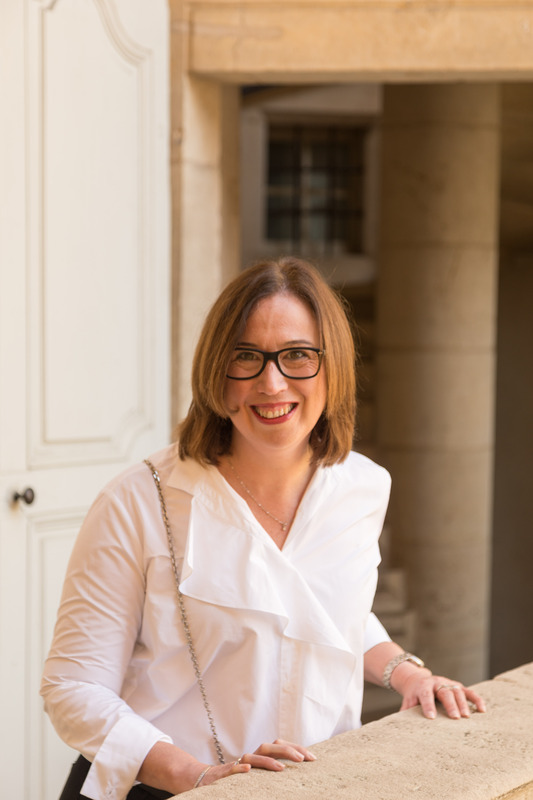 One of our favourite things to do while we are travelling – either in France or anywhere else in the world – is to eat at a Michelin starred restaurant. It really is a fabulous vacation treat. And if you go at lunch time, you get the whole fine dining experience and excellent value for your holiday savings. 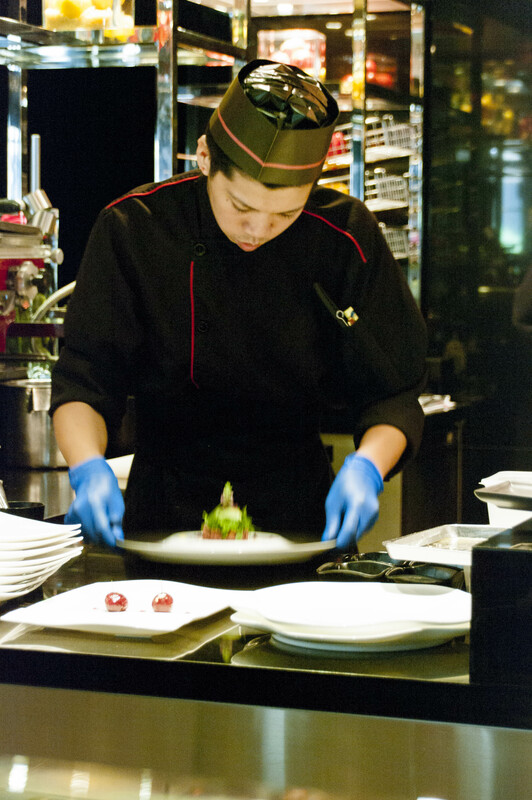 Some of our favourite restaurants are those formulated by legendary French chef Joël Robuchon. They are conveniently dotted all around the globe (although, sadly, not in Australia as yet). And regardless of whether you opt for the show that comes with sitting on a bar stool at one of the L’Ateliers or choose the refined elegance of one of his restaurants, your tastebuds are guaranteed to be in for a treat. But assuming you’ve decided to make a date with Mr Robuchon (as the staff everywhere appear to refer to the master chef) you are then left to decide which restaurant option is right for you. You don’t have to worry about which choice has the better food – it all comes from the same kitchen and benefits from the same meticulous attention to detail. But there are a few things you should consider before making the final decision. So today I thought I’d share the pros and cons of both restaurants in case you are wanting to work out which Joël Robuchon dining experience is right for you. The show. Oh, the show. Seriously, I could sit and watch the chefs work their magic for hours. From your bar stool perch, you get a rare insight into the precision and the artistry that goes into Michelin starred food. Book as early as you can to get the best seats in the house! The relaxed environment. This is a bit difficult to describe, but due to the ‘over the bar’ set up of these restaurants you get quality, attentive service without excessive formality. Perfect if you think Michelin starred dining might be a bit intimidating for you. Your very own bread basket. Need I say more? And I have to mention the French butter. Whether the restaurant might work for large groups. L’Atelier works superbly for a solo diner or a couple, but we are not sure how it would go for a larger group, due to the linear seating arrangements. The experience. The furnishings are plush, the decor elegant and the tones are hushed. And the people watching in this environment is great fun. The trolleys. I’m sure the French wouldn’t use the word trolley but it’s the only way I can give you an idea of how the bread, butter, cheese and petit fours are served to your table. Seriously the most memorable way to choose what you are going to taste next. The fact that this style of dining will suit all parties, large or small. While you get to enjoy both the food and the experience, you miss out on seeing the service. Have you dined in a Joël Robuchon establishment? If so, we’d love for you to share your experience in the comments section below. Please note – This is an unsolicited post and no compensation of any kind has been received from Joël Robuchon or any related entity in relation to its publication. I haven’t been to Joel Robuchon restaurant. However, I’ve been to a few Michelin-starred restaurants in France and New York. I understand the spectacle, but usually Michelin stars mean the ambience is quiet and intimate and the service magical in that everything happens as it needs to but you never actually witness it. If you get out of big cities, you can eat at very, very good Michelin-starred restaurants for far less. ← Packing Shoes For Paris. Tips And A Season By Season Guide.